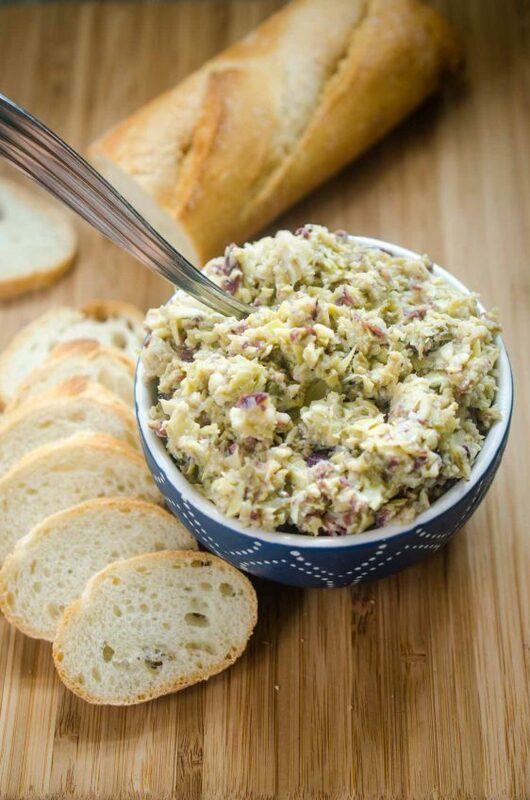 Creamy Artichoke Jalapeño Dip is a summer potluck must! Loaded with two cheeses, artichokes and jalapeños, it’s impossible to resist. One of my favorite things to do in the kitchen has always been to recreate recipes. Whether it is something that I tried at a restaurant or a pre-made item that I’ve bought from a store. 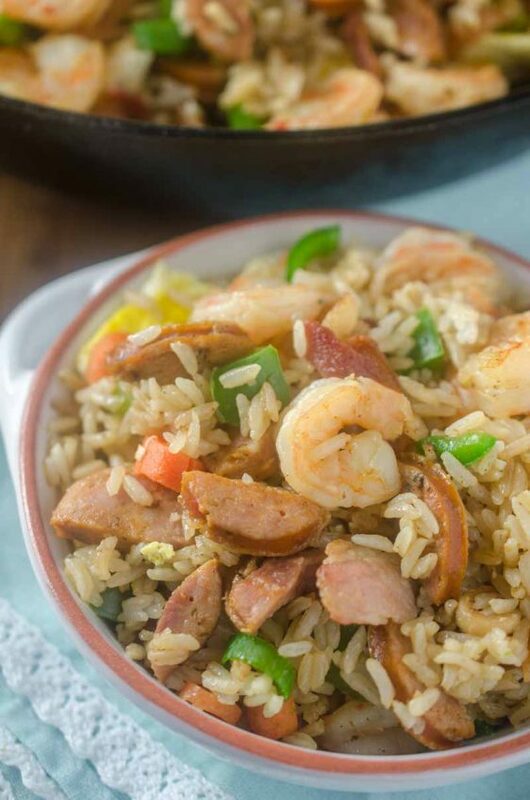 I love to come home, go over the ingredients and try my hand at making it my own. 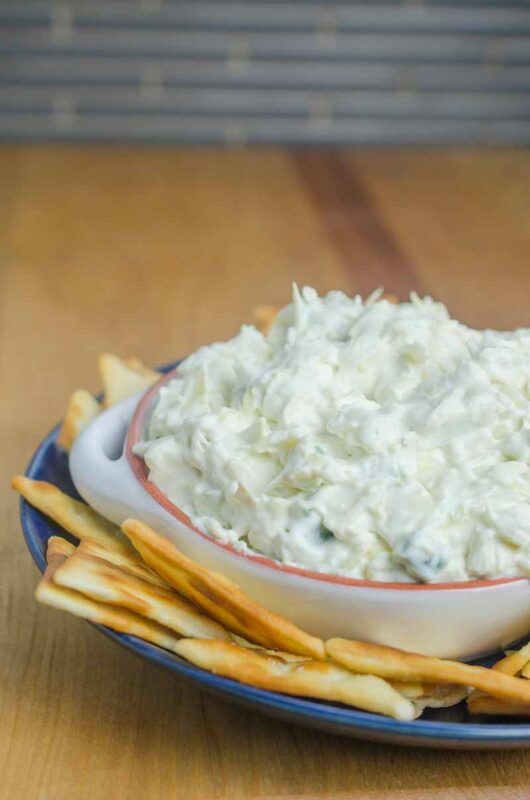 This Artichoke Jalapeño Dip is one of those recipes. A couple of weeks ago we went to dinner at a friends house and I was in charge of bringing over a quick appetizer. AWESOME. Appetizers are actually my favorite part of any meal. In fact, I could make a meal out of them. I decided to make a loaded cheese board so I stopped at Trader Joe’s to pick up some meats and cheese. That is when I saw Artichoke Jalapeño Dip in the refrigerator case and just HAD to add that to my board. Because I mean, artichokes, jalapeños and cheese. Three of my favorite things. The dip was a hit. 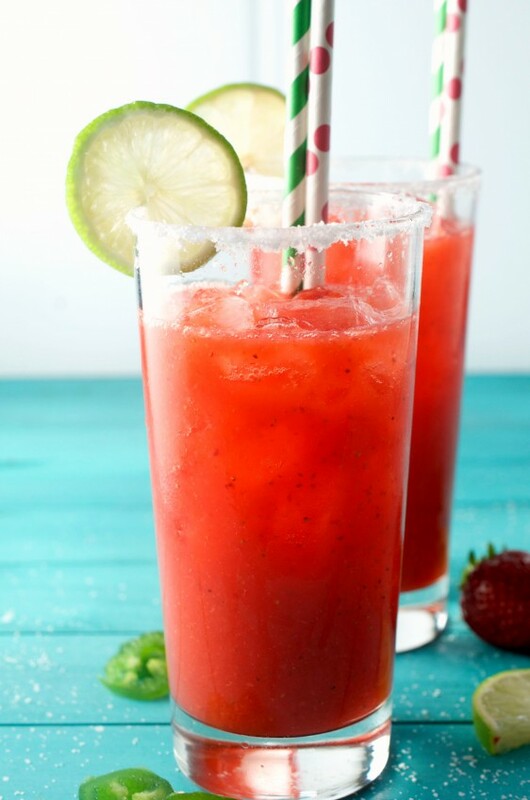 Everyone loved it and as I stared at the ingredient list I thought, this will be SO easy to make at home. So what do you need to make artichoke dip? 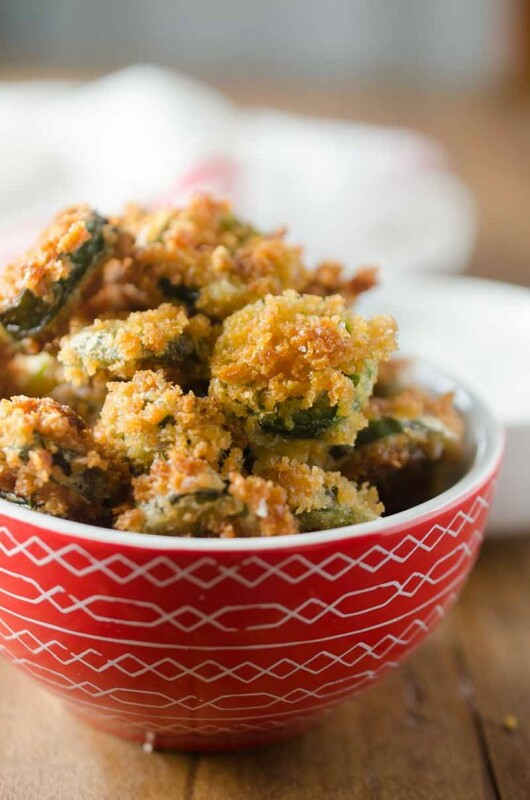 For this Artichoke Jalapeño Dip you will need artichokes and jalapeños. Obviously. But you will also need cream cheese, granulated garlic (or garlic powder), jack cheese and (SECRET INGREDIENT ALERT!) greek yogurt. 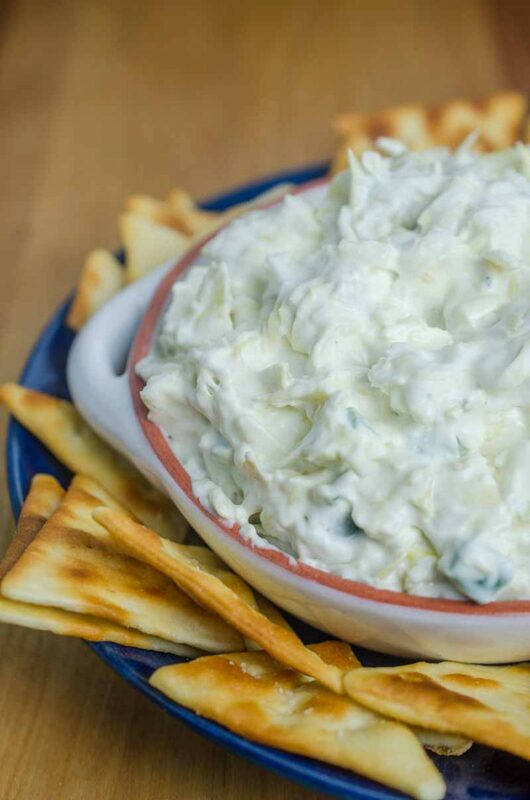 I just love using greek yogurt in dips. 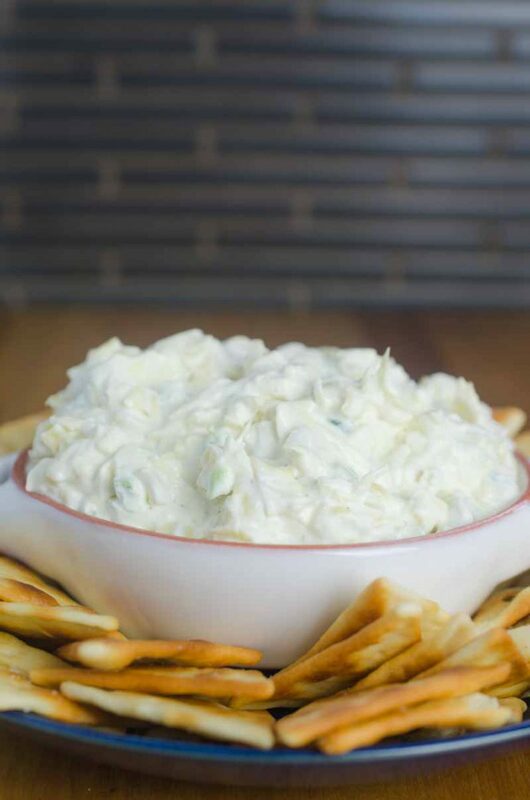 I will often use it as a substitute for sour cream like in my Caramelized French Onion Dip. 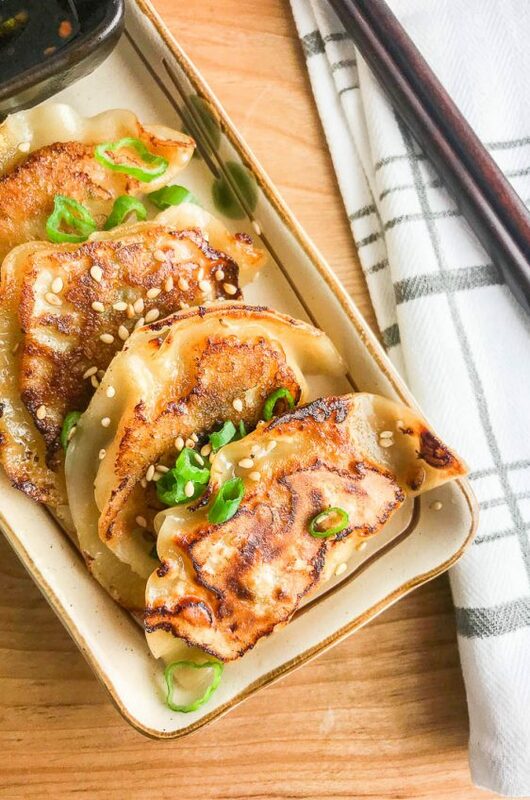 It adds some tang and creaminess without the heaviness of sour cream. One of my favorite things about this Artichoke Jalapeño Dip is that it is served cold. So many artichoke dips are served hot. And while I love me some cheesy, Hot Artichoke Dip, during the summer, cold dips are where it is at. It’s not easy to bring a hot dip to a potluck. But a cold dip could even be made the night before. Just take it out of the fridge 30 minutes before serving so it has a chance to soften a bit. 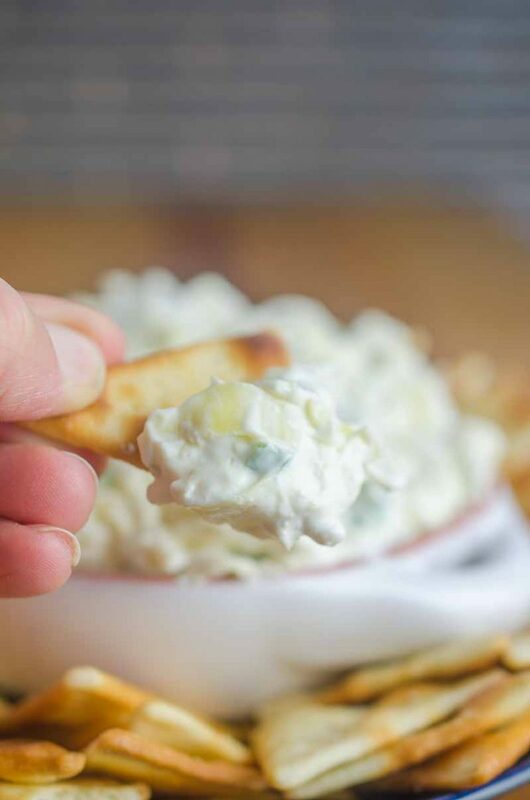 When it comes to dipping, Artichoke Jalapeño Dip is great with pita chips, crackers, sliced cucumbers and toasted baguette slices. Or just grab yourself a spoon. I wont’ judge. Beat together cream cheese and greek yogurt until smooth. Fold in jack cheese, jalapeños, artichoke hearts and granulated garlic. Season to taste with salt and pepper. Serve immediately with crackers, sliced veggies or baguette slices. Or refrigerate until ready to serve. 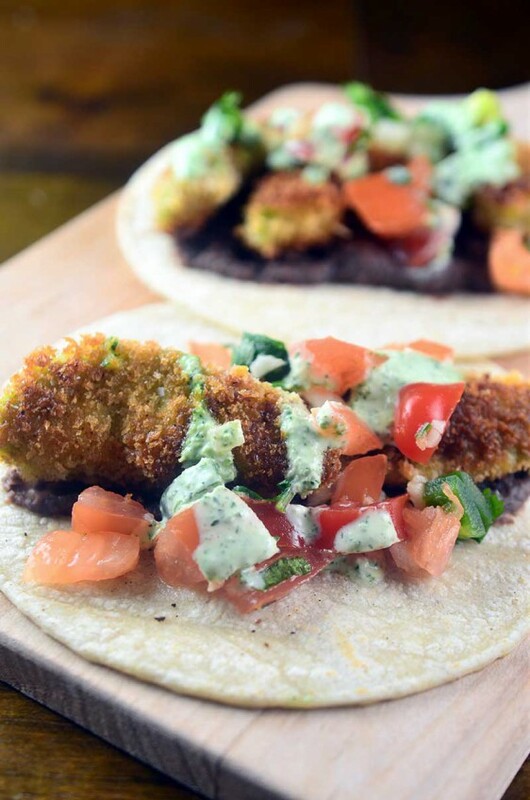 If refrigerating, remove 30 minutes before serving so the dip has a chance to soften. This looks so amazing!! I can’t wait to try this one out. Thanks for sharing! 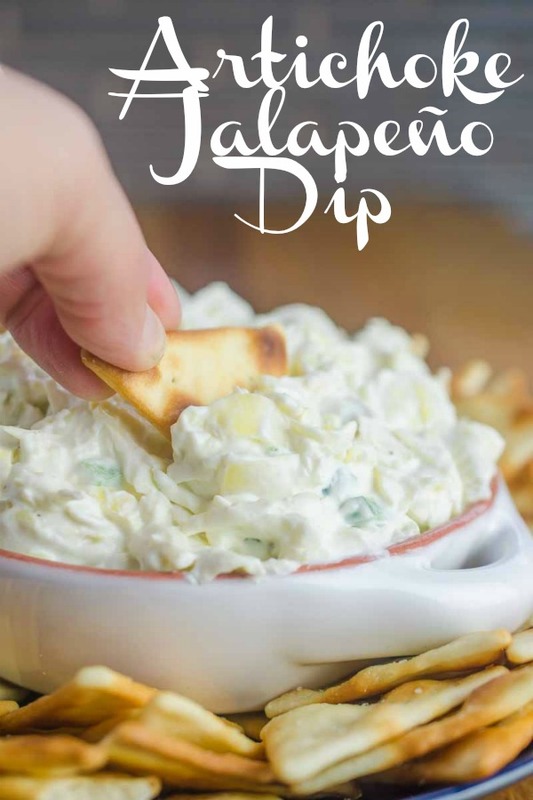 Such a great dip recipe! It looks delicious! This is absolutely fantastic! Like for reals. Artichoke Dip is my all time favorite!!!! YUM! I love a good artichoke dip! This dip would be devoured around me. I wouldn’t be able to share. WOWZA this creamy dip is exactly what I want to be indulging in right about now!